Home » Life » I Won Best Parenting Blog! I still can’t quite believe it. It’s funny – when I set up the Irish Parenting Bloggers group on Facebook a few years ago, I thought it would be a nice chance for the nine or ten of us who occasionally chatted on Twitter to get to know each other and offer a bit of parenting and blogging support. 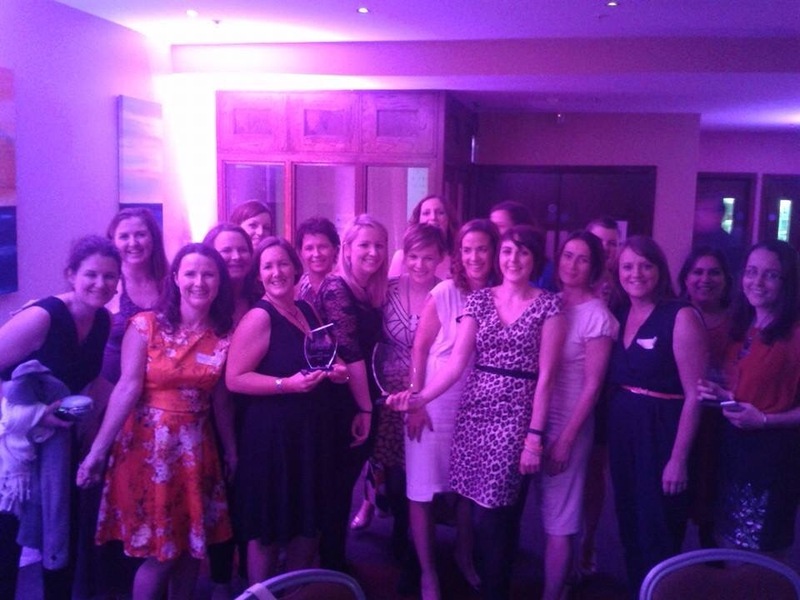 Last year when we were harassing encouraging the organisers of Blog Awards Ireland to add a Parenting category, we had grown to 40 strong. And suddenly this year, the group has surpassed all my expectations, and it’s now rapidly approaching 90 members – our very own village of Parenting Bloggers. Through the group, I’ve read wonderful blogs and met fantastic people. 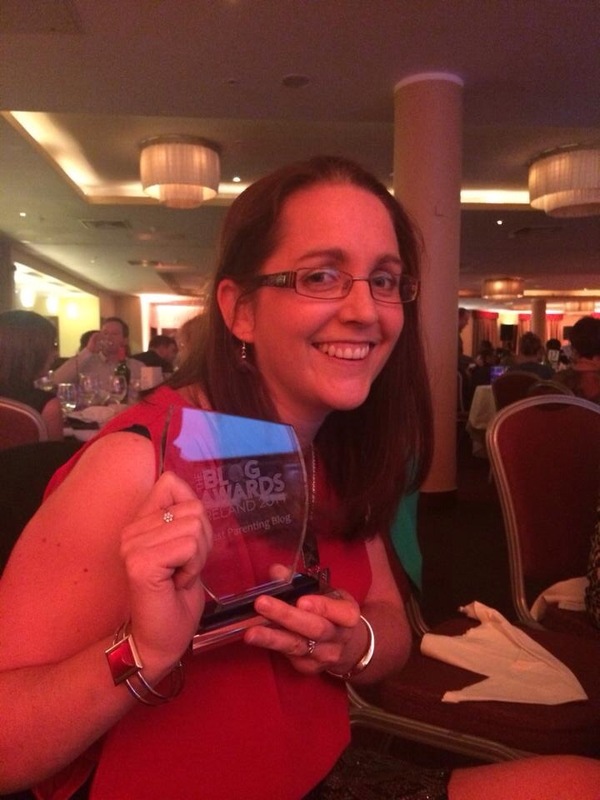 I’m constantly impressed by my fellow Irish Parenting Bloggers and so I was shocked recently when the finalists for Blog Awards Ireland were announced and I discovered I had made the list. There are so many great blogs on the list, including several of my favourites, that I can honestly say I had no expectations of winning. 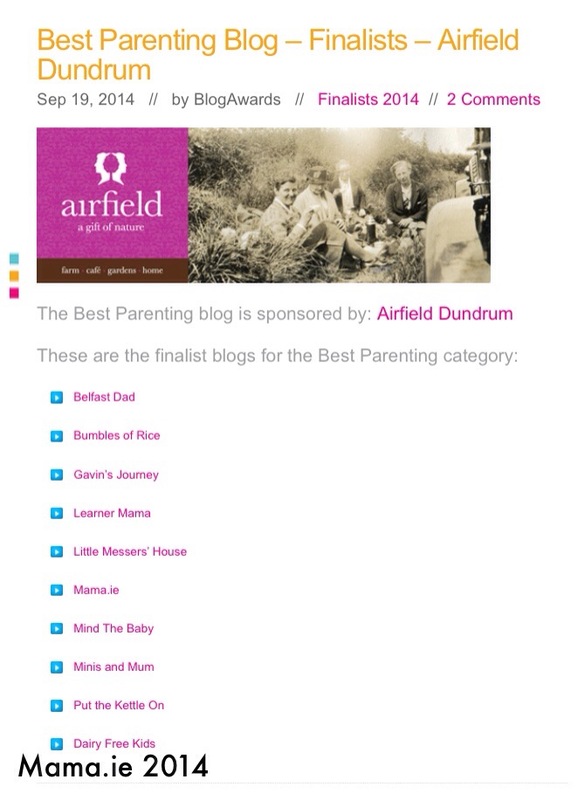 I just thought it was such an honour to be listed as a finalist, and that I’d go along to the Awards to cheer on the winner, who I hoped would be a fellow Irish Parenting Blogger. Spirits were high when I got to the awards. Everywhere I looked it seemed like there were Irish Parenting Bloggers. Lots of familiar faces, and some I was delighted to meet for the first time. Awfully Chipper, who was there with us in spirit via her constant tweets from Maryland, did some rough calculations to figure out that there were 25 of us nominated across 11 categories. Plus a few nominees in Best Blog Post. What an achievement. And as the night rolled on, we had some winners – Dolly Rouge for Best Beauty Blog, Sunny Spells and Scattered Showers for Best Health and Wellbeing Blog. And then me for Best Parenting Blog. I think my jaw hit the ground and it took a second to register that Mama.ie had been announced as the winner. I made my way to the stage, and could barely speak when I got there – I was overwhelmed. I managed to mumble out some words of thanks and appreciation but they were far from eloquent. Then off for a photo op with the guys from Airfield Dundrum who were kindly sponsoring the award. I was shaking like a leaf! Thank God the guys from Airfield were holding me up! It took about twenty minutes after I sat back down before the shock started to wear off. Our night was complete when Beating Myself Into a Dress won Best Blog Post. And then it was over for another year. Thank you so much to everyone for your messages of support and congratulations. I really am overjoyed by the award. Fabulous! Thanks for the shoutout – I might have been a bit more restrained on Twitter if I’d realised quite how widely broadcast my natterings were. I thought it was great to have you so close! Me too! And I had no drinks! Very well deserved, congrats 🙂 It looked like a fab night, I was with you all in spirit! Thanks Lisa. It was great fun. Thanks Helen. We really did. Congratulations! I’m sure you’re still on cloud 9 today – long may it last, enjoy every second! Congrats… you were a very humble winner! It was a great night and lovely to meet everyone. I love the new look here too! Thanks Naomi. The new look is a work in progress, but it’s getting there! Huge congratulations! You totally, totally deserve it!